You won't be able to resist these fun and educational ways to turn out and support agriculture--this week and througout the year. You love agriculture! This is the week to celebrate. Our calendar offers a few ideas. National Agriculture Week 2009 is March 15 to 21. It’s the kickoff to Ag Day, this Friday, March 20. At HobbyFarms.com, we think there’s no better way to celebrate a week dedicated to our favorite industry than to find ways to support it! Both in the office and on our farms, we plan to take part in some of these top-10 ways to support agriculture this week. Attend an ag-related event. Check out some of the agricultural activities we found that are taking place this week in our National Ag Week calendar. Get out and support one in your area to ensure these educational and entertainment opportunities continue throughout the coming years. Get your kids involved. Contact a local 4-H group, see if the schools in your area support FFA and instill your love of agriculture in the next generation. Agriculture is so much more than just farming, and it’s important for people of all ages to understand how it shapes our lives. Give to an ag-related nonprofit. Charities such as Farm Aid and Agros International serve an important purpose in our world—using agriculture to support agriculture. Nonprofit groups like the American Livestock Breeds Conservancy and The American Chestnut Foundation do their part to conserve and strengthen our agricultural heritage. Likewise, colleges and universities rely on donor support to continue their agricultural research and education initiatives, no matter if they’re small, nonprofit schools such as Delaware Valley College and Abraham Baldwin Agricultural College or large, state-organized institutions like North Carolina State University and the University of California. Teach someone to garden. Maybe you don’t have extra money to support agriculture, but you do have a little bit of time. Through your cooperative extension office, a program at the library or just one-on-one, if you have a green thumb, share it, and help others learn to plant and enjoy a garden. Contact your local newspaper. If you’re involved in agriculture, National Ag Week is the perfect time to get your local media involved, too. Gaining some media coverage will benefit both your farm and your local agricultural community. 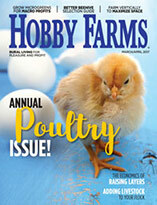 Donate a subscription of Hobby Farms to your local library. Help others in your community understand small-scale, local agriculture and the positive impact that it has on your area. Buy local. You already know that whether it’s veggies or veal, foods that are produced in your area support the farmers in your area. With land and resources being gobbled up by development, it’s up to us to keep local farming, well, local. 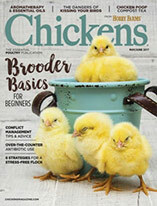 Join a CSA, shop at the farmers’ market or get to know the farmer down the road. You might agree that your food tastes better when you know where, how and by whom it’s produced. Learn about your family’s and your community’s agricultural heritage. For instance, my father was born in The Netherlands. His family immigrated to the United States when he was 5-years-old, and they worked on and then purchased a dairy farm in New Jersey. Our family still owns that land and now raises Standardbred horses and cash-rents some of the land for crop production. Stories like this of our agricultural heritage are being forgotten as the generations go by—don’t let the legacy of your community be lost. Take care of a project on your farm. What better way to celebrate National Ag Week than to do so in your own backyard? 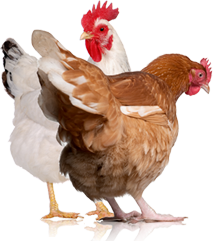 Maybe you need to purchase your seeds for the year, repair a section of fence or make an appointment for spring vaccinations with your veterinarian. Now’s the time to do it. Network with fellow farmers. If you are new to the area, are new to farming or have been meaning to stop in at the farm just a few miles away, do it this week. One thing that’s wonderful about agriculture is the strong sense of community that farmers have. Use this week to build yours. What do you plan to do for National Agriculture Week? Let us know by leaving a comment below!